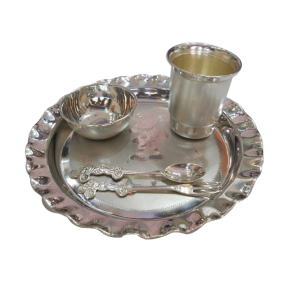 Patel & co is a leading manufacturer of silver articles like silver utensils, silver bowl, silver god idols, silver coin, silver gifts, silver tray and many more. These products are used in traditional ceremonies, festivals and marriages as a token of love and affection. Our range is widely acclaimed for exquisite design, luster appearance, light weight and excellent finish. We also customized the product as per the customer’s Requirements.